WOW! 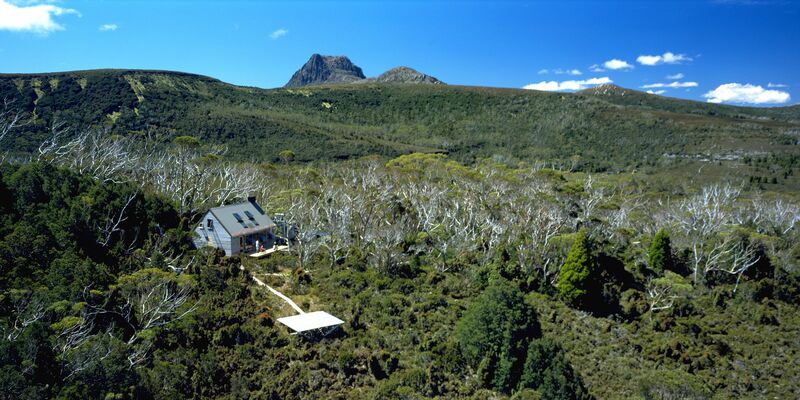 I have just walked the Overland Track with you and have spent 6 days in heaven. The World Heritage Area is beautiful, picturesque and easily my favourite place on earth. My walk buddies were 7 girlfriends, another wonderful lady and guides Ben and Bonnie. Our guides educated us about the flora, fauna and geology of the area, entertained us, produced gourmet meals and motivated us to heights we never imagined. As 8 working mums who have hectic lives just being out in the wilderness would have been enough, but the little things like a library repeated in each hut, hot showers, clean cabins and a glass of fine wine each evening topped it all off. Cradle huts you have thought of everything.